Facilities - Oakwood Kennels and Cattery - a 2nd home for your pets. Please note we do not open for collection and drop off of pets on Bank Holidays. Special hours for christmas & New year , Please ring for details. We close for three weeks in January please ring for details. Our kennels & cattery are situated in a tranquil location with a veterinary practice next door. Music playing throughout for our guests. Music playing throughout the day for our guests so they feel more comfortable & at home. Lots of playtime & cuddles. We believe that all pets need interaction to be happy so while your pets are with us they get lots of TLC, cuddles & playtime. Vaccinated kittens & puppies are also welcome, puppies need to have the kennel cough vaccine aswell. We have 24 Hour recorded cctv to watch & monitor your pets while they are staying with us. All our kennels & catteries have covered runs attatched to their sleeping quarters in order to give each dog adequate room. All size dogs and cats are catered for and kennels and bedding will be allocated accordingly. All our Kennels & Cattery have heating all year round for when the weather changes to keep your babies warm. Cats are given two floors to roam, in both the insulated room and their outer runs, and they have thermostatically controlled heating in each room. Vet bedding in all our kennels & cattery. in all our Kennels & Cattery to keep your pets warm,dry & comfortable. Short term boarding for customers who need to get away in an emergency, or a weekend we cover this also. Your dogs are exercised 2/3 times daily - no matter what the weather - in secure exercise paddocks for large & small dogs. We have Twelve purpose built fun filled Agility arena's for our more energetic guest. If your pets need medications we can administer there medications so treatment can be continued whilst in our care for a small fee no problem. Please notify us on arrival of any ongoing treatments or known medical conditions affecting your dog. Please note that we reserve the right to refuse admission to our facilities of any guest showing signs of ill health. Wide range of quality pet foods. 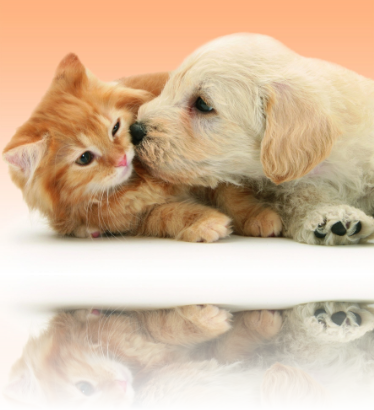 We supply a wide range of quality pet foods both wet & dry for dogs & puppies & cats & kittens. Specialist diets can be catered for providing that food is supplied by the owner of the animal concerned; please mention this during your booking so that details can be confirmed. We are more than happy for customers to view our kennels or cattery prior to booking, please call us to arrange an appointment should you wish to do so.